Former NY Giant wide receiver Amani Toomer will be meeting fans at the NBC 4 and NY Giants Health & Fitness Expo at MetLife Stadium. From weighing in on NBC SportsTalk to catching 77-yard touchdown passes, former NY Giants wide receiver and 2008 Super Bowl champ Amani Toomer has always given his all. Just ask the New England Patriots. 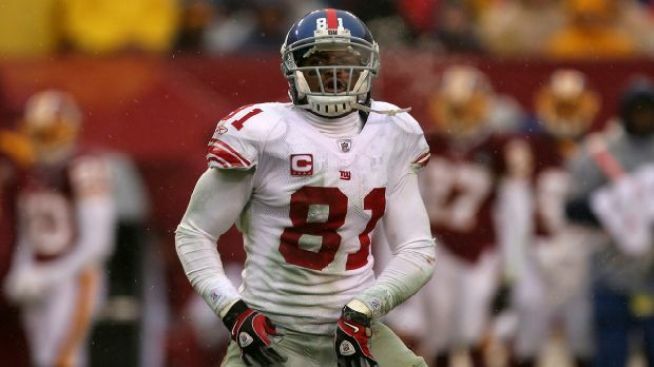 Relive Amani's glory days and get his autograph in the process by joining the always popular football star on the field at MetLife stadium on Saturday June 22 and Sunday June 23 for the NBC 4 and New York Giants Health & Fitness Expo. You'll get to hang out with other NY Giants on the field, meet NBC 4 anchors like Bruce Beck and even get a healthy cooking tutorial from a former Top Chef contestant. It's all part of the family-friendly fun at the Health & Fitness Expo, running both days from 11 a.m. to 6 p.m. Attendees will also be encouraged to learn more about healthy lifestyle choices through a series of interactive exhibits and events during the weekend. Health screenings and wellness classes will be available, while trainers and experts will cover topics ranging from men's and women's health issues and treatments, childhood obesity, and health care for the aging and elderly. Visitors will also be able to enjoy healthy cooking demos with celebrity chefs, celebrity meet and greets and autograph signings, as well as Zumba dance, yoga activities and rock climbing. You can even enter to win the hole-in-one contest by playing a world championship golf course using computer animation.